Navigating FIDIC’s contracts and knowing exactly which contract to use requires a superior level of expertise. If you have experience working with the 1999 suite of the FIDIC forms of contract then you’ll know that administering the contracts is not without its challenges. Navigating FIDIC’s contracts and knowing exactly which contract to use requires a superior level of expertise. 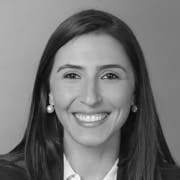 Once the contract has been selected, the correct application of its provisions requires a strong knowledge of its obligations, rights, remedies and procedure. In short, this is a highly sought-after skill set in the industry today. If you sit on the employer or consultant side in charge of selecting and preparing a contract for an employer, then failure to fully understand the contract can have a huge impact on the project delivery and standards. 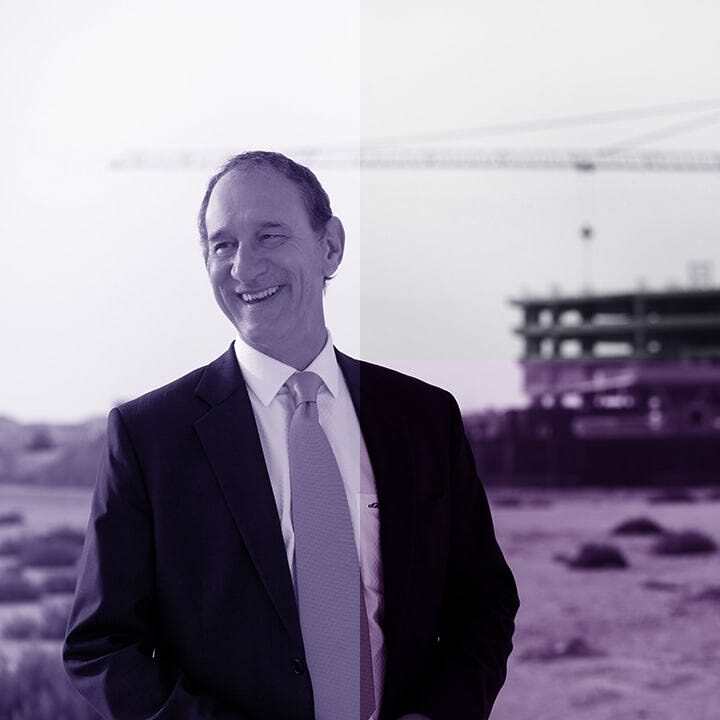 From the contractor’s side, failure to understand rights and remedies will dramatically affect the profitability of a project. From both points of view, non-compliance with obligations can have a disastrous effect. This intermediate e-course has been created to give you practical knowledge that you can immediately apply to your own work. Through 18 hours of video modules and 6 written assignments, we will dramatically improve your understanding of the FIDIC contracts. This e-course is fully flexible – log on anytime, anywhere – and enjoy a generous 6-month student access to our course materials. It also comes with expert tutor support from a published FIDIC author and industry leader with over 40 years of contracts and claims expertise. Plus, you’ll gain 18 valuable CPD hours and certification to help further boost your career potential. TOO MANY BENEFITS FOR YOU? 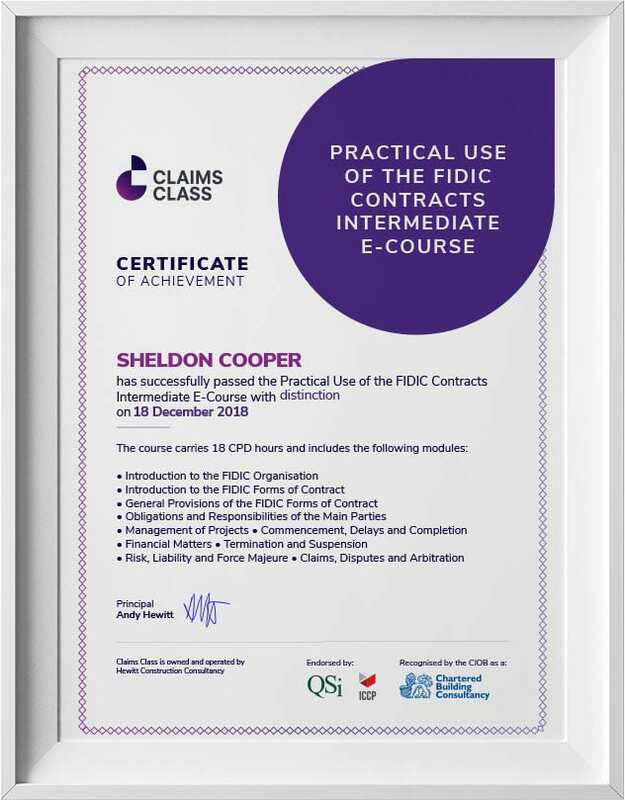 If you don’t wish to submit assignments, do not need a certificate and/or do not need to accumulate CPD hours, take our Practical Use of FIDIC Contracts Basic E-Course for just $195. Explanation of the General Provisions including definitions, communications, law and language, priority of documents, delayed drawings or instructions and errors in the Employer’s requirements. You will be asked to complete a total of 6 assignments throughout the course related to topics covered in the modules. You will be asked to submit your assignments to your personal tutor for grading. Your tutor will provide feedback and advice where necessary and each assignment grade counts towards your overall course grade. Gain practical knowledge and revolutionise the way you work with this globally recognised suite of contracts. 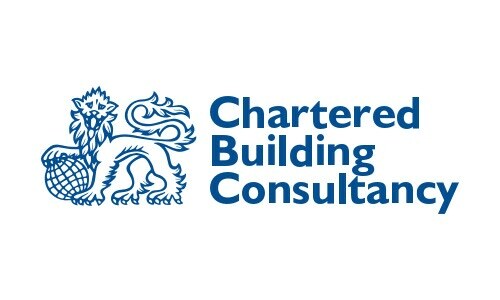 Our e-courses are the result of decades of expertise in the construction industry, especially within the specialist field construction contracts and claims. We’ve been through the difficulties and understand your frustrations, and we’ve put all that hands-on experience into creating this e-course. Why should I take this course and how will it help me? We should start this answer by saying that Claims Class has become a well recognised, respected and trusted education and training provider that specialises in construction contracts and claims. So when you enroll on a Claims Class course you can be assured that you are going to get great content, useful and engaging assignments, tangible and applicable learning outcomes and a smooth administrative and learning process. If you’re someone who works with the FIDIC forms of contract this course will give you the tools you need to administer the contracts effectively. We will teach you about the general provisions of the FIDIC contracts, the obligations and responsibilities of the main parties and how to effectively manage your projects. We will also cover time related issues including commencement, delays and completion, financial matters, termination and suspension. In the final modules, you will give you an overview of risk, liability, force majeure, claims, disputes and arbitration. You will graduate this course with a solid understanding of the FIDIC contracts and will be immediately able to apply what you have learnt to the next project that you work on with confidence and clarity. You will be asked to complete a total of 6 assignments throughout the course. Once you have completed your assignments, you will upload them to your tutor via the student website. Your tutor will comment on and grade your work and issue your module grade to you via email. At the end of the course, you should have achieved an average grade of 55% to pass. We believe that you have a strong reason to sign up to this course and we want to make sure that you complete it so, from the date of enrolment, you have 6-months to complete the course. After 6-months, your access to the Student Website will expire and you will no longer have access to the course content. 6-months will give you plenty of time to get through the content and make sure that you achieve what you set out to do, win win! As a graduate of the course, will I be eligible for membership with any professional institutes? Yes! 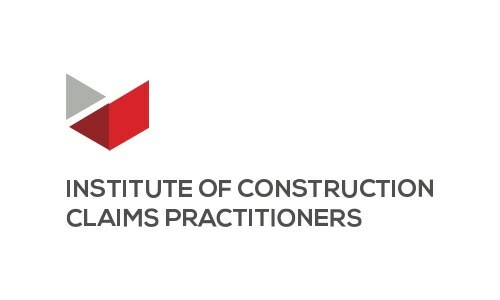 Graduates of the course will be eligible to join the Institute of Construction Claims Practitioners at Associate level without the need to meet any other prerequisites for membership. Further details about joining will be provided when you graduate. What is the difference between the Practical Use of the FIDIC Contracts Intermediate E-Course and the Practical Use of the FIDIC Contracts Workshop? The Practical Use of the FIDIC Contracts Intermediate E-Course is effectively our 3-day Practical Use of the FIDIC Contracts Workshop (that we hold face-to-face) in an online, e-course, format. The 10 modules are delivered via video tutorials and the assignments are designed to get you thinking about each module and embed your learning. This course is best for you if you prefer a flexible, online learning approach rather than an intensive face-to-face workshop environment. Grow your confidence in identifying and managing claims on projects under the FIDIC forms of contract. Gain practical skills to help you understand FIDIC's Red, Yellow, Silver and Gold books, that you can immediately apply to your own work when dealing with claims.